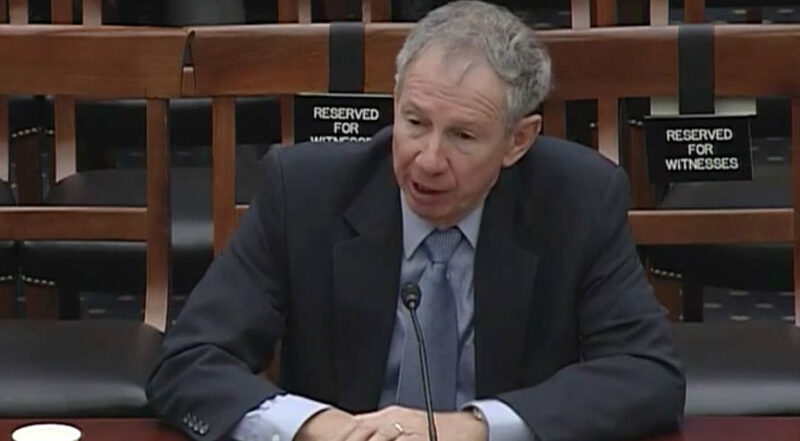 WASHINGTON — Undersecretary of Defense for Research and Engineering Mike Griffin is recommending that the Pentagon create a Space Development Agency to take over next-generation space programs and transform how the military acquires space technologies. 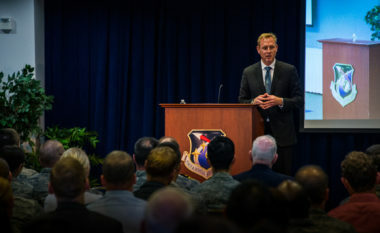 Griffin’s recommendations were in response to a Sept. 10 memo from Deputy Defense Secretary Patrick Shanahan in which he requested that Griffin and Air Force Secretary Heather Wilson submit separate proposals for how to create a Space Development Agency. The standup of a Space Development Agency is one piece of a broader effort to form a new military service for space. Wilson submitted her plan in a Sept. 14 memo along with a detailed blueprint for how to organize a Space Force as a separate military department. Griffin’s proposal, a copy of which was obtained by SpaceNews, is dated Sept. 20. Griffin and Wilson take very different approaches. Griffin has been a frequent critic of the slow pace and high cost of military technology developments, and he contends that the Space Development Agency should lead a DoD-wide effort to accelerate innovation. “To disrupt our adversaries’ calculus in the space domain and deter aggression, we must first disrupt our own space community’s risk-averse culture — by relearning how to build, deploy, operate and innovate rapidly, at low cost,” his proposal says. Griffin makes a case for temporarily placing the Space Development Agency under in his portfolio so the SDA can collaborate with the other agencies that Griffin oversees and do space-related work — the Missile Defense Agency, the Defense Advanced Research Projects Agency, the Strategic Capabilities Office and the Silicon Valley-based Defense Innovation Unit. Another major difference between Wilson’s and Griffin’s proposals is the scope of the potential portfolio of the Space Development Agency. Wilson says the Space Development Agency should at first focus on “space superiority” — which is to counter efforts by adversaries to deny or degrade U.S. space systems. 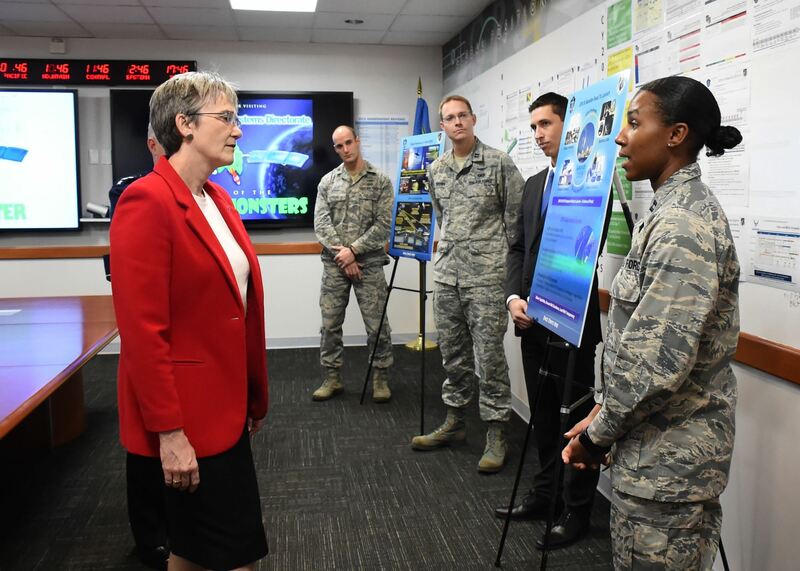 Under her plan, the bulk of the military’s satellite programs that provide services like navigation, missile warning, communications and weather would remain in their current services until the Department of the Space Force is established. Griffin proposes a shift from government-developed to commercial satellites and launch vehicles. The Space Development Agency would move the military from traditional satellites to a “proliferated architecture enabled by lower-cost commercially derived spacecraft and routine space access.” It would focus on “experimentation, prototyping and accelerated fielding,” says Griffin’s proposal. The Space Development Agency in Griffin’s plan would have an Executive Board with members of the joint staff, the military services, the combatants commands and the intelligence community. Griffin envisions the Space Development Agency taking over significant acquisition authorities — such as approving key design and development decisions and okaying major program milestones. This could become a contentious sticking point because the Pentagon could be taking away powers that the military services have by law. The secretaries of the services are responsible to “organize, train and equip” their forces. The legacy organizations mentioned are Air Force Space and Missile Systems Center, the Space Rapid Capabilities Office, the Air Force Rapid Capabilities Office, the Air Force Lifecycle Management Center, the Air Force Research Laboratory and the Space Security and Defense Program. Resources also would come from the Army Space and Missile Defense Command, the Army Research Laboratory and the Army’s Communications-Electronics Research, Development and Engineering Center. Navy organization that would provide resources include the Space and Naval Warfare Systems Command, the Naval Research Laboratory and the Office of Naval Research. The organization most likely affected by a realignment of resources would be the Air Force Space and Missile Systems Center that oversees the bulk of military space programs. Deputy Defense Secretary Shanahan sought to calm fears during a speech last month the Air Force Association’s annual symposium. But Shanahan’s previous comments suggest his thinking is aligned with Griffin’s on the path forward on space technology development and procurement. How the Space Development Agency ultimately is organized and funded will be part of larger debate as the Trump administration puts forth a legislative proposal for standing up a Space Force that Congress would take up next year. Supporters of Wilson’s views on the space reorganization argue that the military services and the NRO already are pursuing the “DoD space vision” that was articulated in Shanahan’s August report to Congress. One area where DoD needs help is in “space superiority,” they contend, and a new Pentagon agency that is not integrated with U.S. Space Command would not be in a strong position to do that.